At 11 a.m. today the Morristown Police Department began executing Operation Ice Blaster. The Narcotics/Vice Unit, MPD Special Response Team, Criminal Apprehension Unit, Patrol, Support Service and Detective Divisions are seeking 79 individuals who will be facing charges for illegal sales of narcotics within the city of Morristown. At this time, 37 individuals have been taken into custody. MPD is being assisted in the location and apprehension of the suspects by agents from the Bureau of Alcohol, Tobacco, Firearms and Explosives (ATF) and the US Immigration and Customs Enforcement Homeland Security Investigations Unit (HSI). 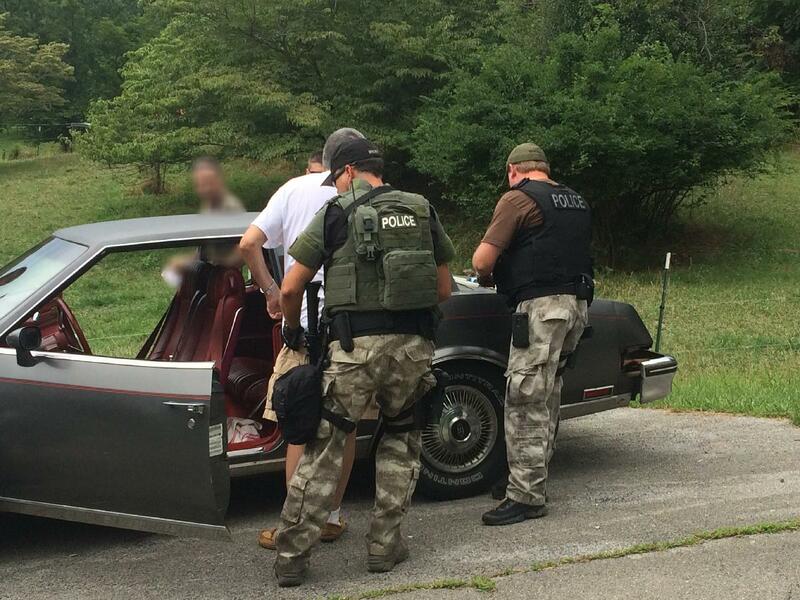 The Grainger County Sheriff’s Office is also assisting in locating offenders who reside within their jurisdiction. The operation name metaphorically refers to an ice blaster which works undetected below the surface of a pond to remove ice and clean the pond. Our undercover agents have worked more than 15 months targeting individuals who are distributing crystal meth, commonly referred to as “ice”, in our community. MPD Operation SOBOs in April 2015 netted 105 individuals who were primarily charged with illegal prescription medication sales. Large-scale operations such as this often take multiple days to arrest all individuals indicted. Any suspects not located immediately will be placed in the national crime database to notify law enforcement across the country of their outstanding charges.